Tell more compelling stories with Autodesk software. 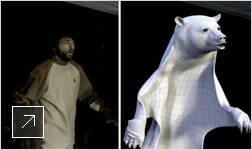 From production-quality meshes and automatic character rigging to live action mixing and 3D animation, visual effects software from Autodesk helps you bring your ideas to life more quickly and easily. Create production-quality meshes with animation-ready topology from scanned, imported, or sculpted data with Mudbox 3D digital sculpting and texture painting software. Explore and present new ideas for characters, props, and environments using a hybrid paint and vector toolset. Take a more innovative approach to shot planning with the 3D Editorial toolset in Maya 3D animation, modeling, simulation, rendering, and compositing software. Quickly lay out shots using motion capture data. Quickly make changes to dense motion capture data with cleanup, filtering, blending, and editing features. Create convincing, high-quality characters, props, and environments for your film and television productions with Autodesk modeling solutions. Quickly produce higher quality UV maps on complex models with Autodesk visual effects software. Paint intricate textures across multiple high-resolution maps and exchange multilayer files with Photoshop software using the 3D Paint toolset in Mudbox 3D sculpting and texture painting software. Build complex shaders more easily with the Slate node-based material editor. Develop the look you need for your models with artist-friendly shading and texturing toolsets. Speed your character setup process with automatic character rigging. Create realistic characters with tools for smooth skinning and interactive volume binding in Maya 3D animation, modeling, simulation, rendering, and compositing software. Create advanced rigging elements and drive the movement and behaviors of characters with flexible tools in Softimage software, part of Entertainment Creation Suite. Wire one-way and two-way relationships between controllers for a customized keying animation method. Use both pen and mouse for more creative freedom with SketchBook Designer software, part of Entertainment Creation Suite. Create matte paintings through the use of perspective matching, camera mapping, and render layer management. Experience 2D film and 3D animation using MatchMover software to accurately place 3D objects into a video or film sequence. Count on accurate results, even when mixing 2D and 3D elements, creating a single composite in Flame Premium creative finishing software for high-end post-production. Exchange digital assets with studios that use different tools than your own with FBX data exchange technology. Produce better animation in less time by adding MotionBuilder real-time animation software to Maya 3D animation, modeling, simulation, rendering, and compositing software or 3ds Max modeling, animation, rendering, and compositing software. Develop convincing character animation with accelerated skinning workflow, and nondestructive live retargeting. Create compelling content faster with enhanced modeling, animation, physics, and selection tools. Create more realistic animations using built-in character rigs in CAT and Character Studio that are compatible with a range of motion-capture file formats. Create realistic simulations that interact more believably with characters and environments using an extensive range of toolsets for simulation. Quickly set up advanced photorealistic lighting and custom shaders. Easily create global illumination and then bake into texture maps, vertex maps, or point clouds with the Turtle plug-in for Maya. Create higher-fidelity previews in less time with the Quicksilver hardware renderer in 3ds Max 3D modeling, animation, rendering, and compositing software. Simplify your workflow with the ability to work in a unified mental ray Standalone software executable. Enhance rendered passes and incorporate them into live action footage with Composite, a fully featured, high-performance, high dynamic range (HDR)-capable compositor. Create advanced graphics, color grade, or perform high-speed 2D and 3D compositing. Expand layer-based timeline effects with a single click into a customizable, schematic view. Maintain total control over lighting in your project. Quickly create multilayer timelines that can be shared between VFX, editorial, and grading using conform and versioning tools. Import projects from Final Cut Pro X via XML and access multilayer timelines and media using AAF. Quickly move between organizing clips, source/record editing, color matching, and visual effects. Make changes and updates more easily with rendered results that are automatically fed back into your timeline. Create stylized looks, shape color and lighting, and establish narrative tone using color grading tools. Create looks, match shots, or grade entire projects with color correction tools in your timeline. 3D modeling, animation, effects, rendering, and compositing software. Asset exchange technology for higher-fidelity data exchange. Professional video editing and effects software. Intuitive digital painting and sketching tool for concept design. Tools for 3D modeling, animation, effects rendering, and compositing. Visual effects, 3D compositing, and editorial finishing tools. 3D character animation and virtual production software. Production tools that include 3ds Max and Maya. 3D digital sculpting and texture painting software. Capture nearly impossible camera shots with virtual cinematography for greater production flexibility. VFX software from Autodesk helps you tell your story your way. 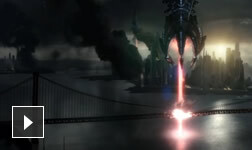 Communicate more easily, plan shots in detail, and better adhere to cost and scheduling expectations with the help of Autodesk VFX software for previsualization. 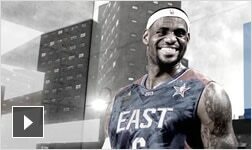 From the Super Bowl and Hockey Night in Canada to the NBA All-Star Game, Bigstudios is creating amazing pictures for the biggest events on TV using 3ds Max. 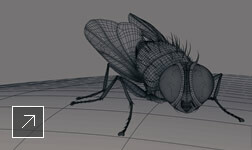 A visual effects studio brought an animated fly to life with software from Autodesk. The team used 3ds Max and Maya software to model, render, and tweak the characters for emotive, visually stunning results. To create an award-winning commercial and stay on deadline, the VFX team collaborated via Maya-based pipelines and used Maya nCloth to help create realistic effects for skin and fur. Learn about the origins of MILK Stuidos, what they are proud of, what makes them unique, and why they prefer to remain a "boutique" VFX studio for both Film and TV.